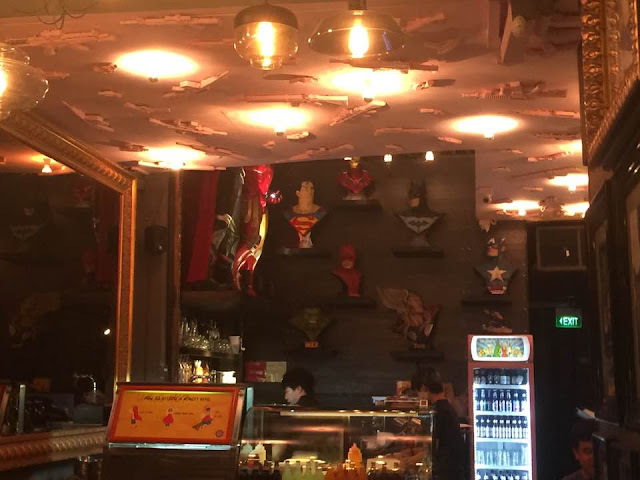 One thing is for sure: I absolutely love to visit themed cafes in Singapore. 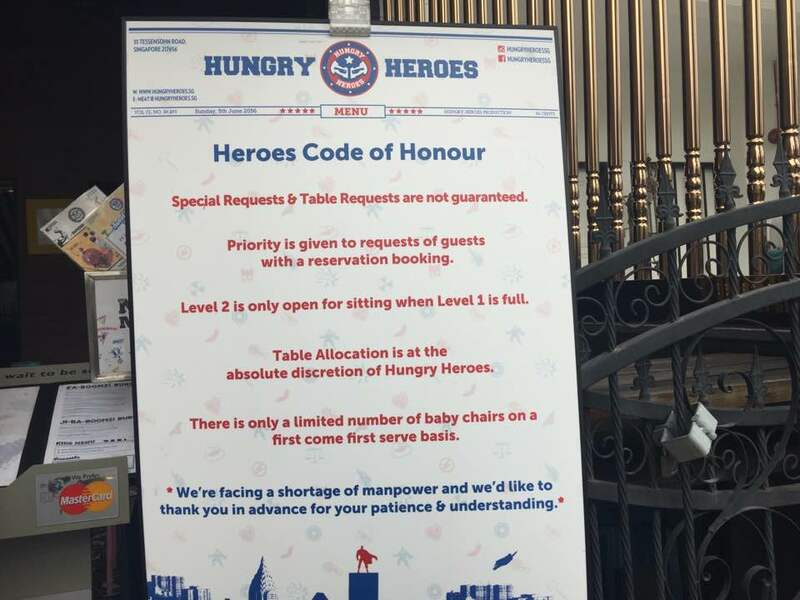 I first heard of hungry heroes from Ivan, a fellow blogger. 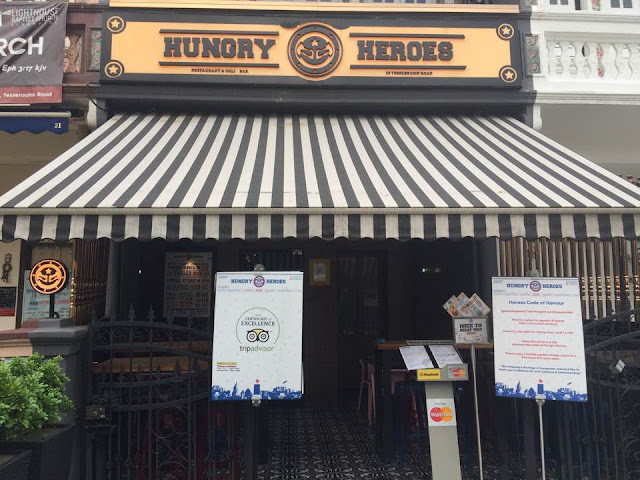 Hungry Heroes is a themed cafe for super heroes fanatics. 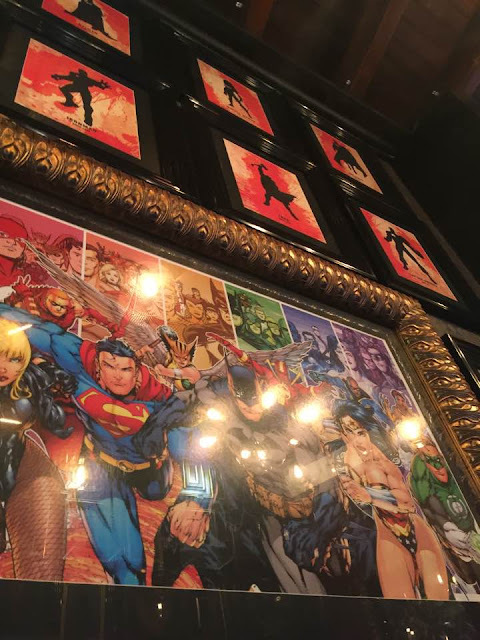 You're in for a treat if you are fans of Superman, Batman, Spiderman and Wonderwoman. Here's why you should visit Hungry Heroes at least once in your lifetime! 1. 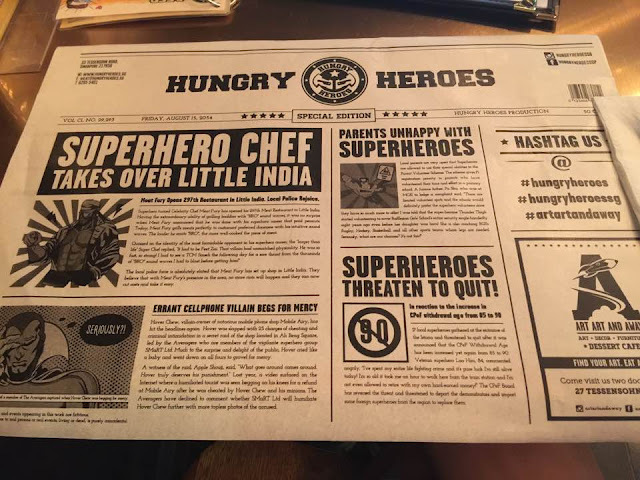 The placemat is so interesting, you'll spend 15 minutes reading it. I left my camera at my bf's car and it took quite awhile for him to help me retrieve it— so I was really entertained by this interesting, tongue-in-cheek placemat. Aside from singlish jokes, they even include the latest news that are extremely SGAG-worthy. I thought the jokes would be pretty lame but it's actually quite witty! The attention to detail is fascinating— everything, from the black tiled walls to golden frame, complements each other nicely. 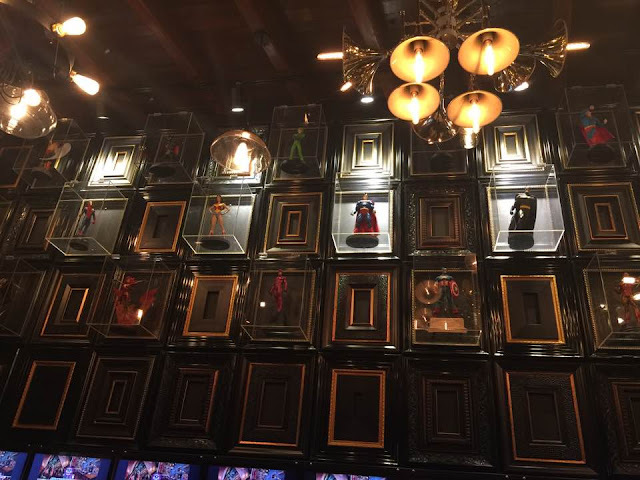 Think you know all the superheroes? Spend some time having fun as you and your friends start identifying the various superheros! Even Heroes have rules to play by *thinks back to W Two Worlds*. I did wish that villains would be present as well... how can a hero be a hero, if there are no villains to make him one? Don't forget to use The Entertainer if you haven't! The Entertainer is one of the most awesome-ext app where you can receive 'Buy One Get One Free offers' to various restaurants and enjoy different activities, visit attractions, book spas sessions and hotel stay across 40 destinations throughout the Middle East, Africa, Europe and Asia.